WAVELABS > 新闻 > 新闻 > Allgemein > LED’s do better R&D! 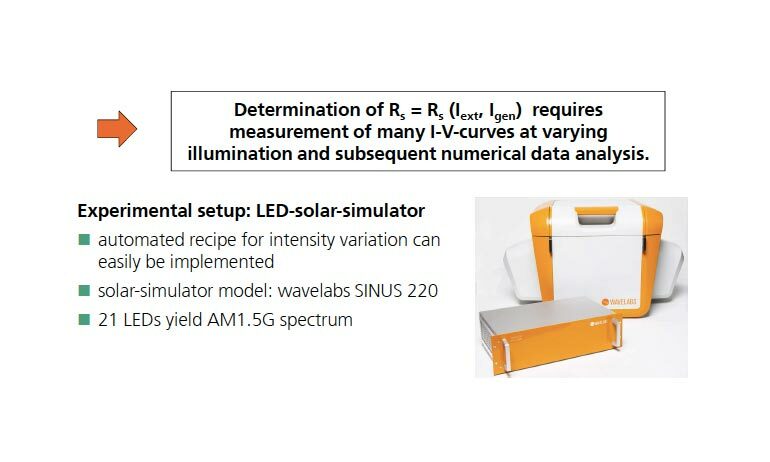 Fraunhofer seems to enjoy working with our LED solar simulator SINUS-220. 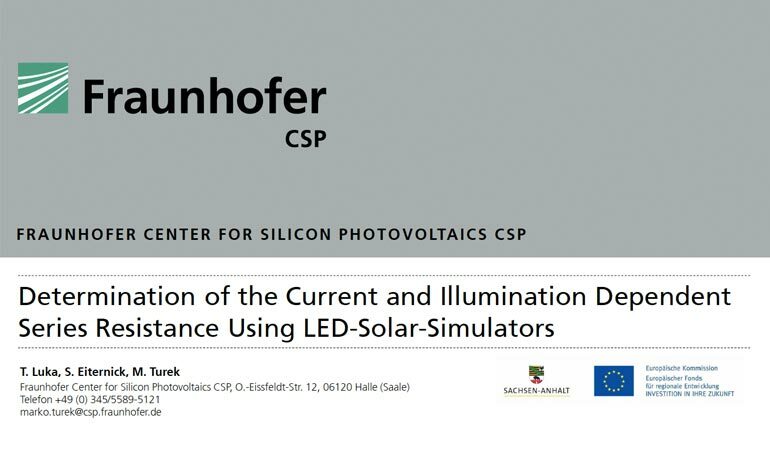 Only a few months after commissioning the solar simulator, Dr. Marko Turek and his team of Fraunhofer present their R&D work at the largest European scientific PV-conference, EU-PVSEC, held 22.-26. September 2014 in Amsterdam (https://www.photovoltaic-conference.com). 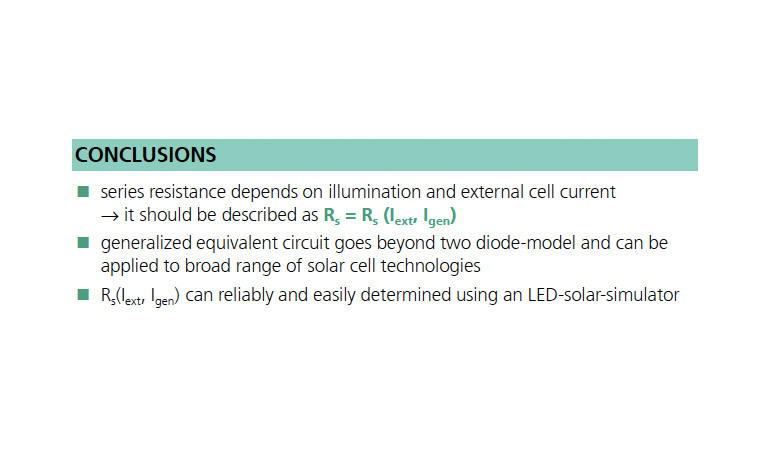 Turek et al look at the correct measurement of the series resistance, one of the key loss mechanisms of solar cells. 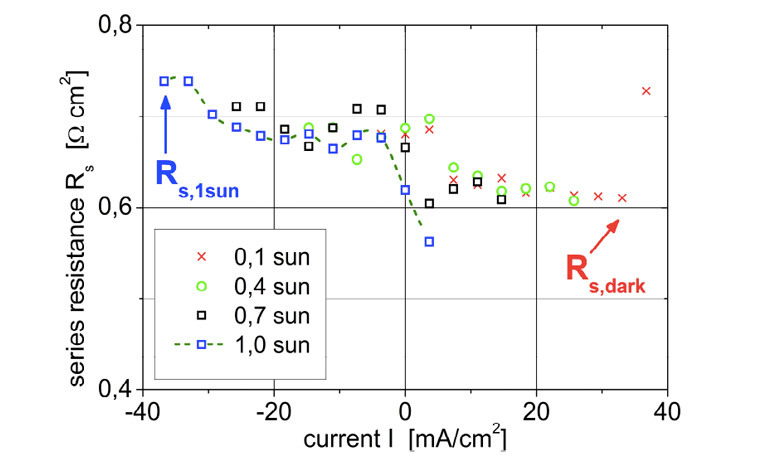 And when you want to do a correct measurement, WAVELABS’ accurate and precise simulation of the sun and IV-electronics seem to be the preferred choice for Fraunhofer. To learn more visit the Fraunhofer contribution 1BV.6.10.